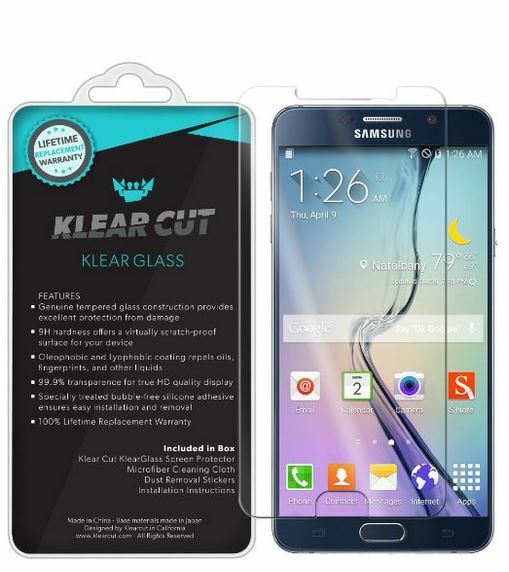 Note 5 Best Tempered Glass Screen Protectors? 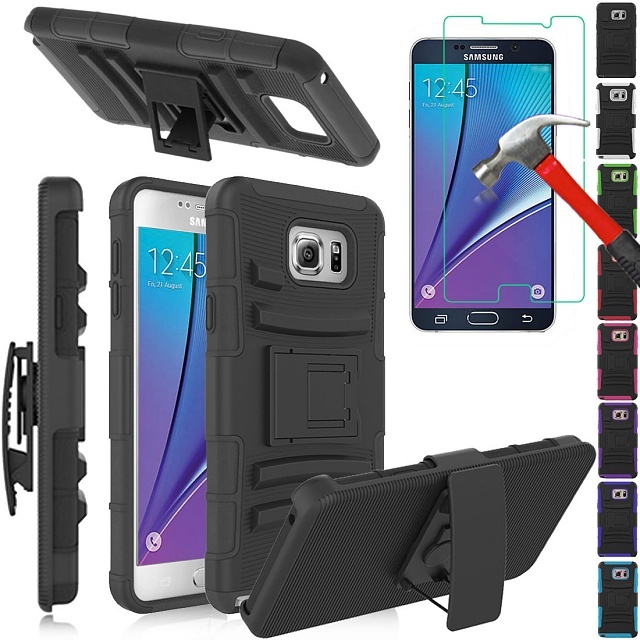 i had the Note 3 .. then the Note 4, and i am waiting for note 5, always i got a hybrid case and tempered glass to protect it, what case and screen protector you always use, please share, if you found good case for note 5, can you share the pics and link? There are no cases out yet for the Note 5 and more than likely they will all be similar to what is out for the current notes. I have always used Spigen cases, never been a fan of tempered glass protectors though. 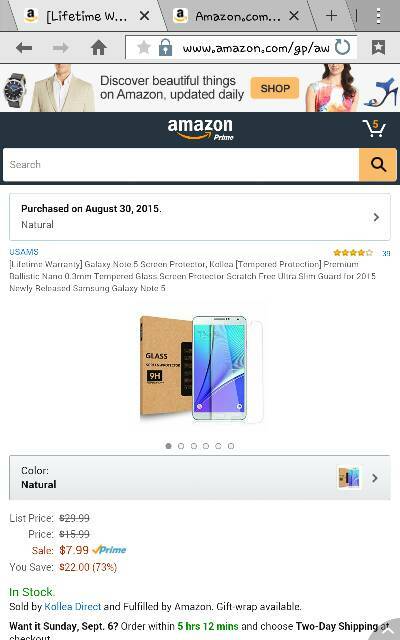 Note 5 have not come yet but will buy one when having note 5. I Use Iloome Screen mate 9h Tempered Glass Protector for my Note 3. Hoping I can use the same protector for my new pre-ordered Note 5. ZAGG, Bodyguardz, and then carried labeled ones. I've used Bodyguardz on my S5 Active. I loved it..it saved the screen when I dropped the phone face down on concrete sidewalk. They also stand by the product. I'm waiting for it to come out for the note 5! Wish is was out now...getting my note 5 Monday. Just FYI I saw the below thread (on the topic of tempered glass) over at xda. Impressive on Galaxy Note 5 design and plans to have a tempered glass to protect the screen,and we often know that there are 0.3mm and 0.6mm or even thicker glass,what the difference between then on earth? and any suggestion or finding? Bought a skinomi tech glass for now till zag comes out out with their version. Ordered both case and tempered glass on ebay. I don't have 10 posts so can't post any links. Its $1 for the case and $1.87 for the tempered glass. Although ebay takes forever to ship. Yootech and Diztronic. They only answer for any phone. No halo, thin grippy protection. It's great. Dang.. I purchased a zagg tempered glass and JETech tempered glass.. Both have the halo.. Both are aligned perfectly. So is the Zagg tempered glass the only one up to this point that has received some positive user experiences? If anybody can provide some photos of their glass on their Note 5 that would be great. Sent from my Samsung Galaxy Note 5. I ordered the one pictured below, and it should arrive tomorrow. if you'd like, I'm more then happy to review it and take some photos, once it arrives and I install it. 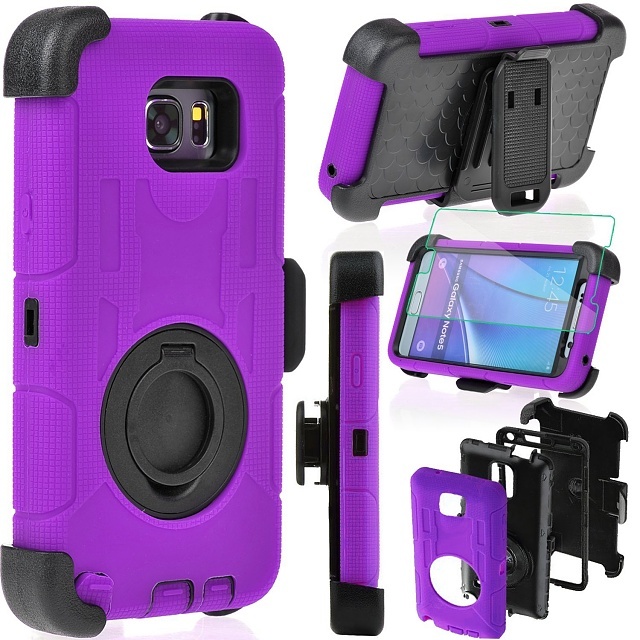 I have been looking for a glass protection for my note 5 and I have been looking at brands other than zagg. I like zagg because of the replacement guarantee and that they have the tabs on the glass for easy installation. I have installed a couple zagg and they are easy to along and keep air bubbles out of. I had a ZAGG tempered Glass screen protector installed on my N5 today. There is a ZAGG kiosk locally and they install so I did not have to deal with it. No halo and perfect fit. Also had an Original ZAGG applied to the back . I do not use a case. Posted for my Galaxy Note 5 with a properly inserted S Pen! I have an Iloome 8H on my Note 4, am going to get the 9H for the Note 5. Also, I have the Spigen Neo Hybrid on the N4, already ordered the same for the N5. Just received this one yesterday. I'm going to install in a few. Why does my S5 screen lock auto reset itself to not having a screen security? Best app to track you weight? HTC One M9+ Plus vs. Samsung Galaxy Note 4. Opinion on best phone for around $250 or less?